You can also take a look at Architecture Craft. It doesn't have all of Carpenter's (Carpenter's's?) cool features, but it has a lot of cool parts including arches, and works with mod-added blocks. I took your advice and installed Architecture Craft. Wonderful mod but for some reason whenever I have blocks placed from this mod, it causes lag whenever mining or placing other blocks. Especially the railings. So I'm still holding out for Carpenter's Blocks. I've never had any lag from the mod, even with a bunch of blocks... the blocks themselves can take a while to break. I'm planning on using it with Carpenter's Blocks. EVERYONE ASKING FOR 1.10.2/1.11.2/.1.12.2 OR WHATEVER CURRENT VERSION OF MINECRAFT THAT ISN'T THE CURRENT VERSION, PLEASE STOP, ALL YOU ARE DOING IS HINDERING THE DEVELOPMENT PROCESS AND MAY EVEN MAKING HIM STOP DEVELOPING. HE IS Currently working on a 1.12.2 build, but it is still a work of progress, it has some the basic features of 1.7.10. CHECK THIS LINK for the 1.12.2 version which is still UNDER-DEVELOPMENT AND IS GOING THROUGH AN OVERHAUL OF SORTS from what i read. http://www.carpentersblocks.com/downloads.html <------ That is the official website. The reason its not on here yet is he doesn't want to release on here as its only a WIP and doesn't want any hassle since the mods isn't full completed and only has handful of functions doesn't want people to port worlds from 1.7.10 and have them complain at him. I agree fully with unlikepaladin98, he says, "
Can this be updated to 1.11.2 or is this mod dead? Updated the proof-of-concept build available on the official website for Minecraft 1.12.2. Added Carpenter's Pressure Plate and fixed various bugs. I don't plan on making these builds available through CurseForge as they're not feature complete and I don't want players to assume worlds from 1.7.10 will carryover. 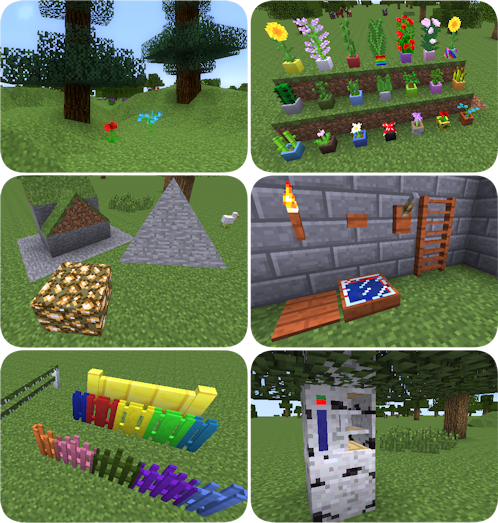 And i know i for one will be happy to test it out to its fullest in my new 1.12.2 world and give back info as needed; in hopes that it helps you out in some way to continue this amazing mod's progress. And again; thank you so much for your continued efforts, i'm more then certain everyone of us in the community will continue to enjoy the fruits of your efforts, and that we're all thankful for your continued dedication, especially during the long haul of work you have planed ahead. Hi. I checked out the website but there is no 1.12.2 version download...? Please, update the mod to 1.12!